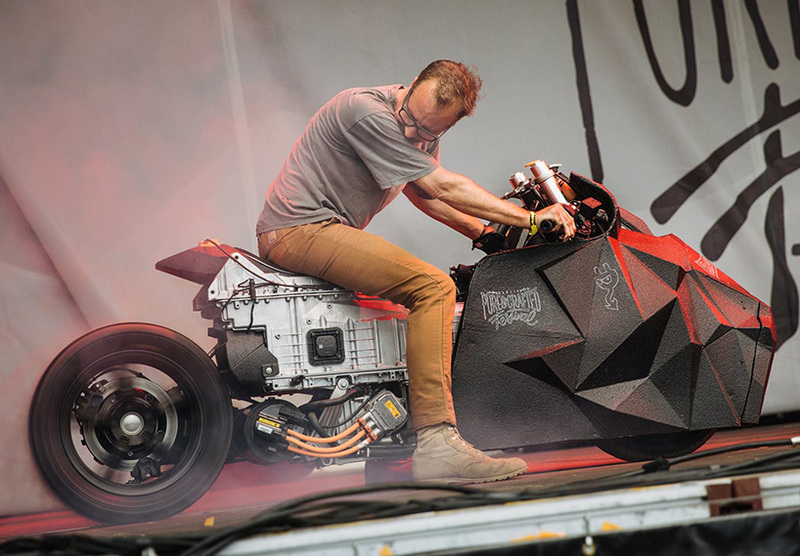 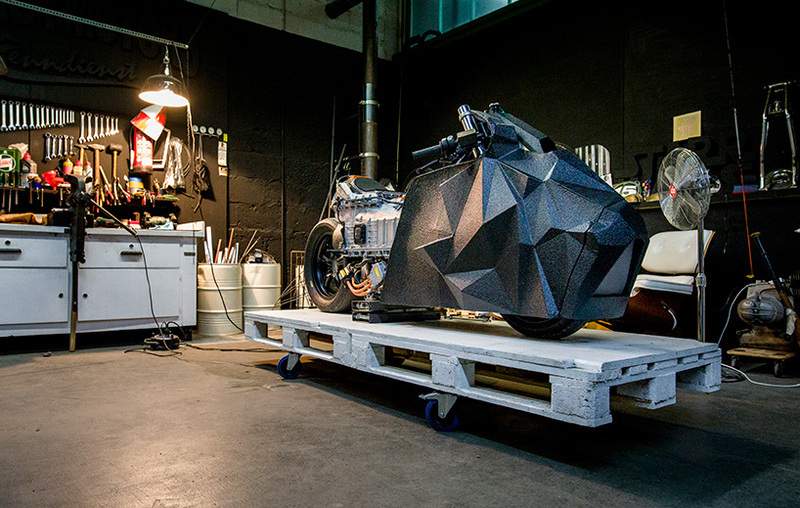 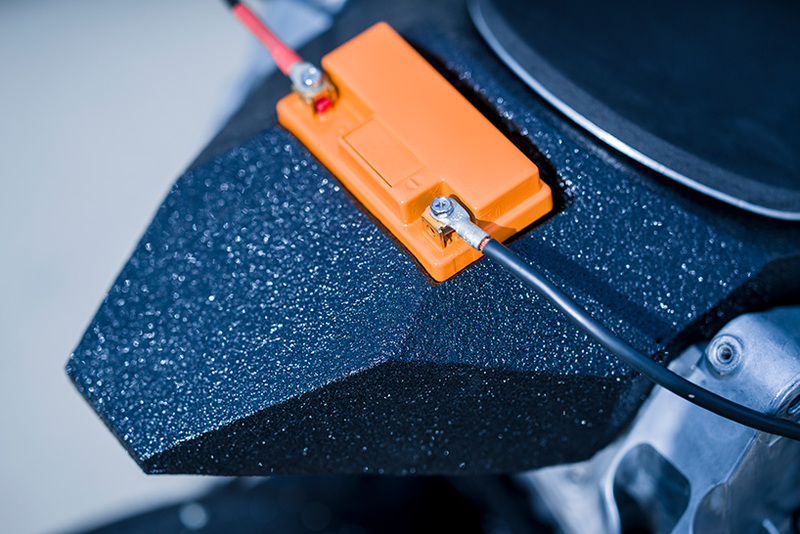 rolf reick of krautmotors is presenting a beastly BMW electric rebuild at this year’s pure&crafted festival in berlin — an event dedicated to the love of music and motorcycles. 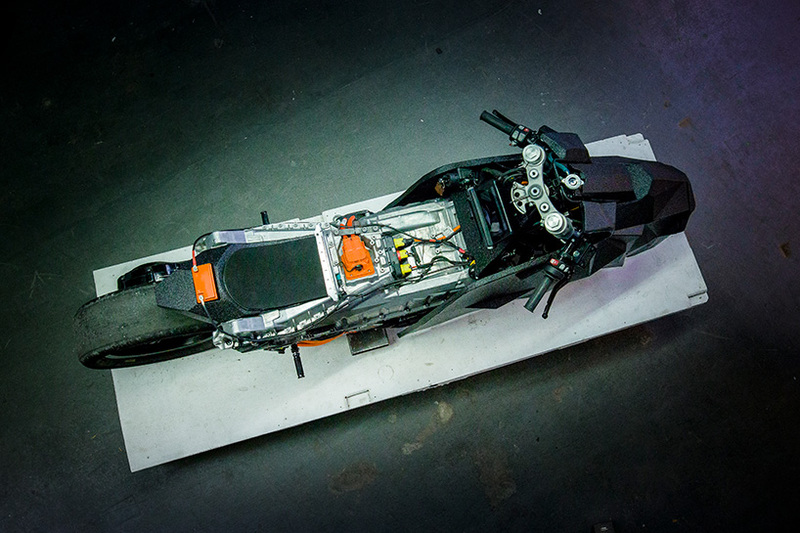 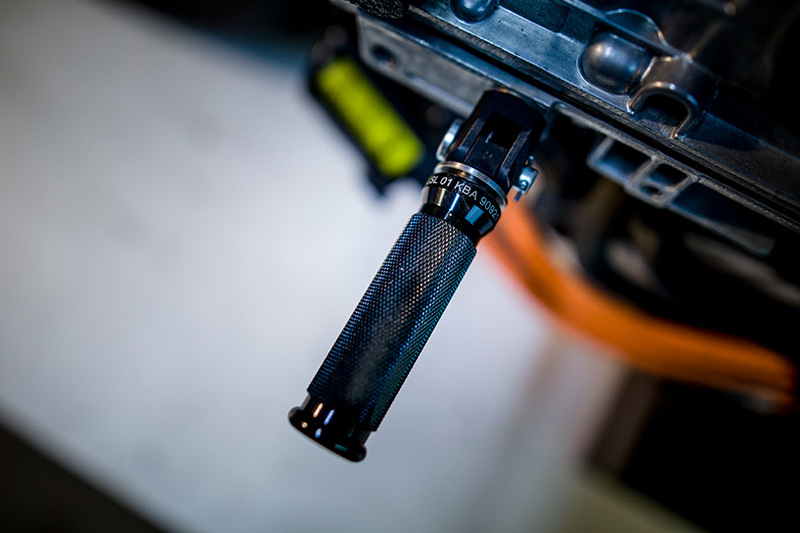 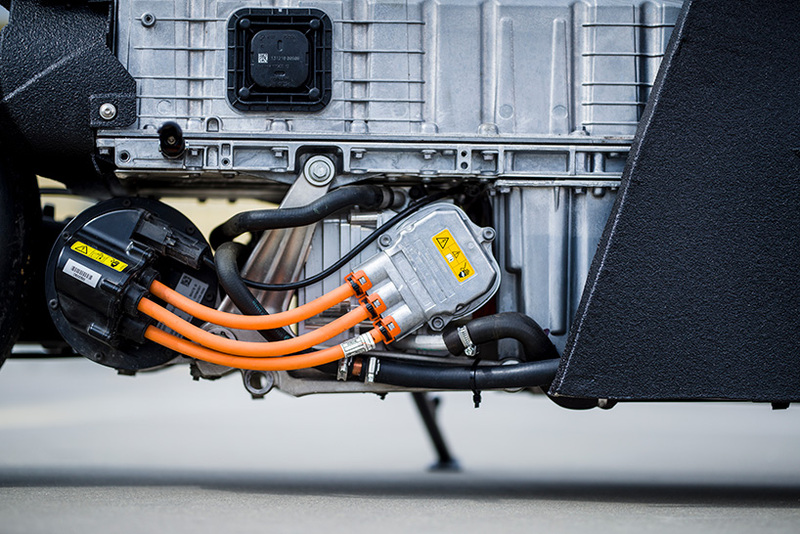 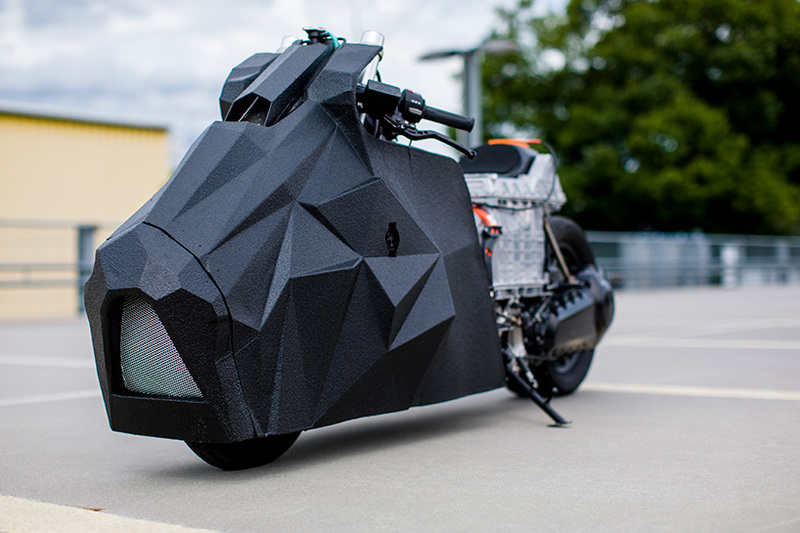 the custom-built bike is based on the BMW C evolution electric scooter — a powerful two-wheeler with an engine that guarantees immediate torque and a riding range of up to 99 miles. 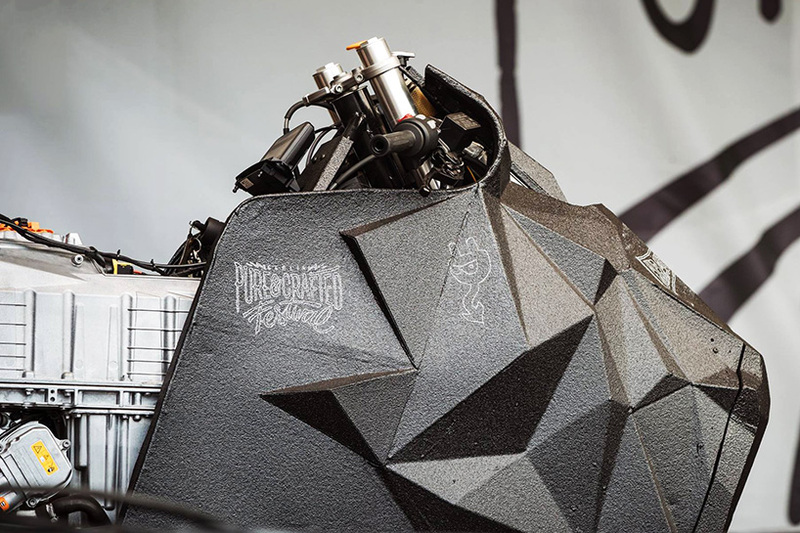 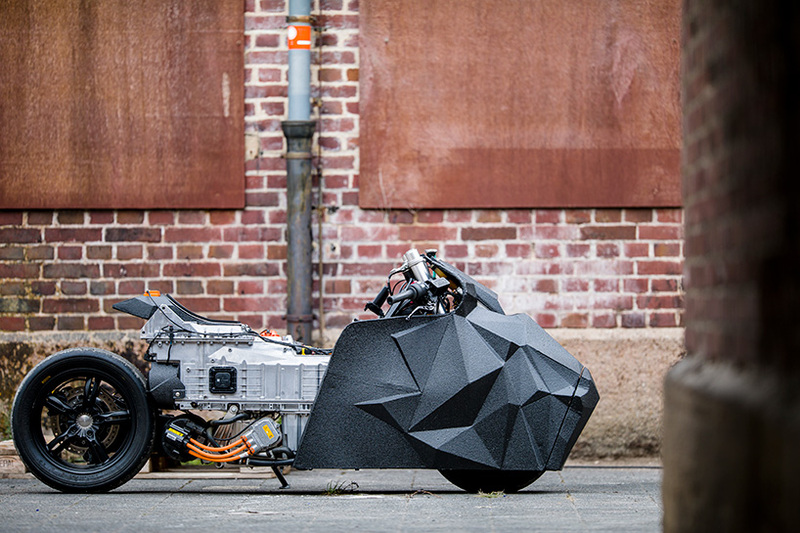 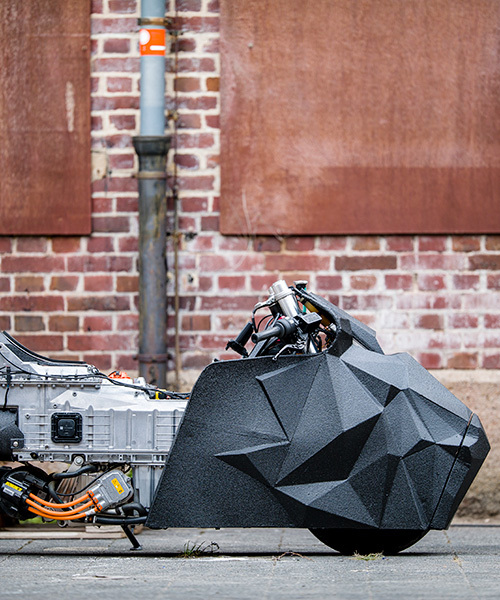 the krautmotors-modified cruiser features an origami-like frame made of folded material and an exposed chassis and rear wheel, revealing the monster motorcycle’s inner workings. 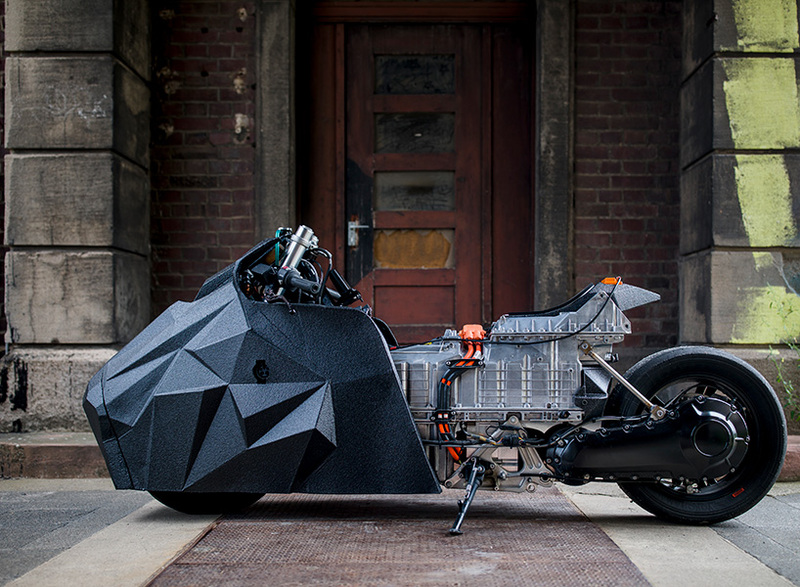 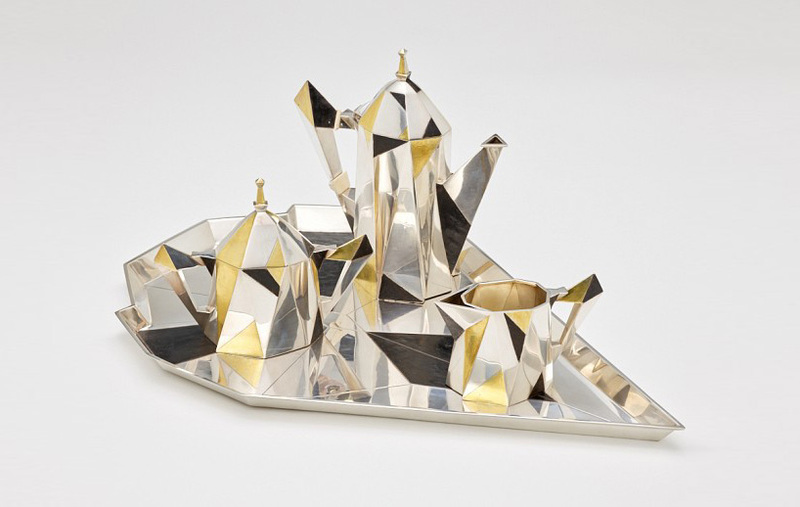 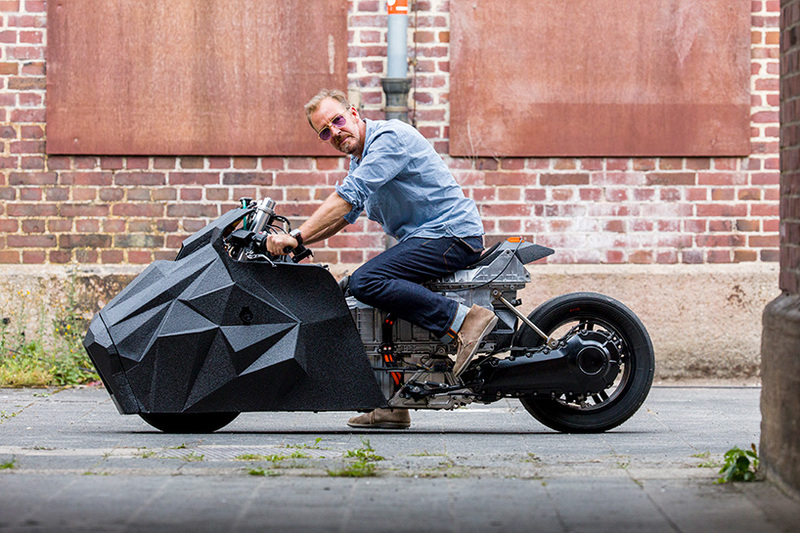 the motorcycle is named ‘E-lisabad’ after reick’s grandmother, whose 1920s ‘cubic’ tea set by erik magnussen interestingly became a source of inspiration for the bike’s faceted façade. 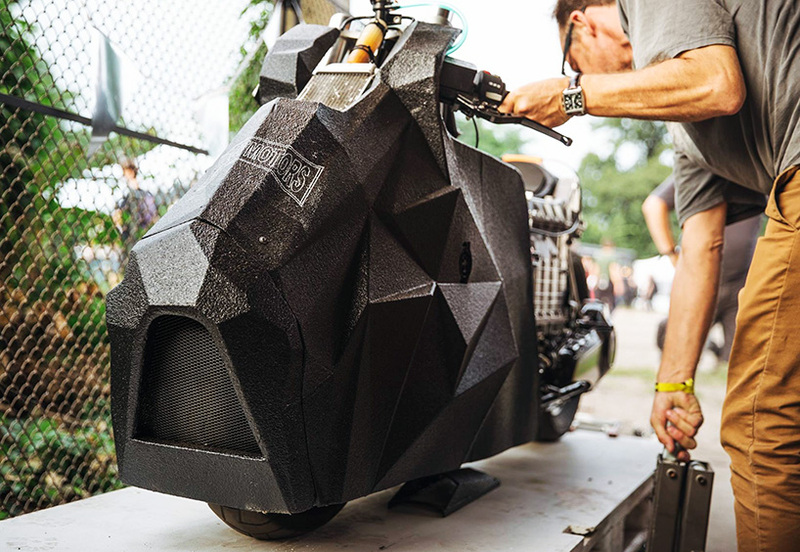 the two-wheeler’s big reveal as the pure&crafted signature bike 2017 will be followed by its presentation at the glemseck 101 festival in germany in early september.